The main station in Tiranë closed in 2013 for redevelopment, and until a new station has been built, the Albanian capital is being served by this small new station at Kashar, 7km from the centre. 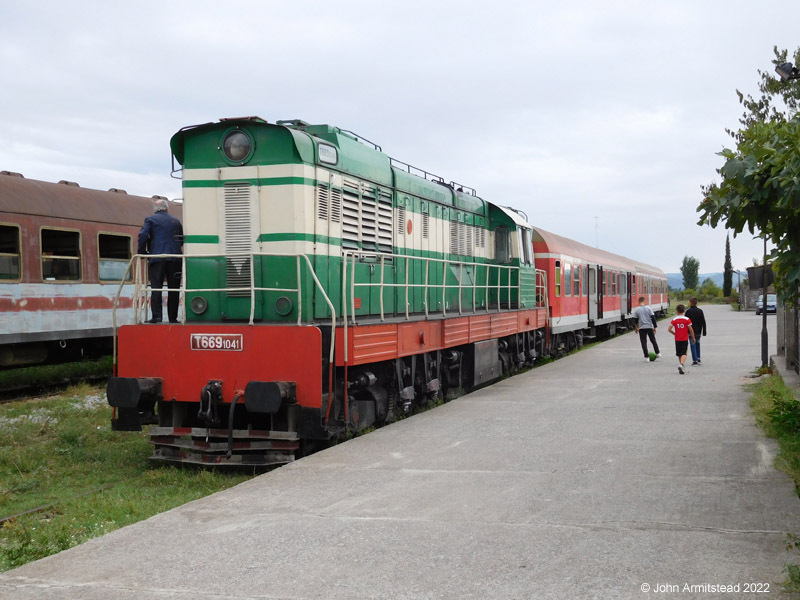 T669-1054 has just arrived at Kashar with the 12.00 from Durrës on 28 September 2015. The smartly repainted locomotive and stock make a stark contrast with the stock used on other services in the country. T669-1059 stands in the evening sunshine at Fier, after arrival with the 13.15 from Kashar (via Durrës) on 28 September. Trains no longer continue south of here to Vlorë.